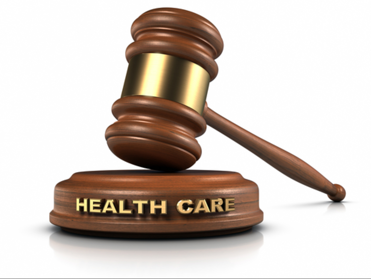 Home Health Medicare News: On Tuesday, the Supreme Court ruled in a 5-4 decision that home health agencies and other healthcare providers such as physicians and dentists cannot sue states for lowered Medicaid reimbursement rates. Many organizations believe this ruling has dismal implications for the rights of caregiving organizations who regularly bill Medicare and statewide Medicaid rates. Five providers of in-home care and other caregiving services in Idaho claimed that the state was violating the Medicaid law by maintaining reimbursement levels from 2006, despite rising costs of healthcare. According to the provision of a payment rates law for Medicaid, rates must be high enough “to enlist enough providers so that care and services are available under the plan at least to the extent that such care and services are available to the general population in the geographic area”. Despite the Ninth Circuit Court of Appeals siding with plaintiffs, the Supreme Court reversed that ruling. As of now, it’s unclear as to what effects this ruling will have on the Medicaid program. According to a recent article in the LA Times, California has adopted provisions to lower payments for Medicaid. However, before the cutbacks were implemented, several healthcare providers sued the state by stating that the reduced rates violate the Medicaid Act. The legislation says the payments to providers should be "consistent with efficiency, economy and quality of care" and should be "sufficient to enlist enough providers" to serve the local population. Several judges in California sided with the plaintiffs and stated that the cutbacks would indeed violate provisions set forth in the Medicaid Act. However, in Idaho, the high court stated that the Medicaid Act did not give authorization to judges for intervention on behalf of doctors and other providers. "We hold that Medicaid providers have no right to seek injunctive relief" in court, said Justice Antonin Scalia, writing for the majority. "The court's error today has very real consequences," she wrote. It will allow states to "set reimbursement rates so low that providers [are] unwilling to furnish a covered service for those who need it." Justices Anthony Kennedy, Ruth Bader Ginsburg and Elena Kagan joined in her dissent. It is estimated that injunctions issued by judges "have cost California more than $1.5 billion by precluding the Department of Health Care Services from implementing cost reductions that the federal government determined are perfectly consistent with federal law" since 2008. Several healthcare organization have continued to urge the court to protect Medicaid from state cutbacks.